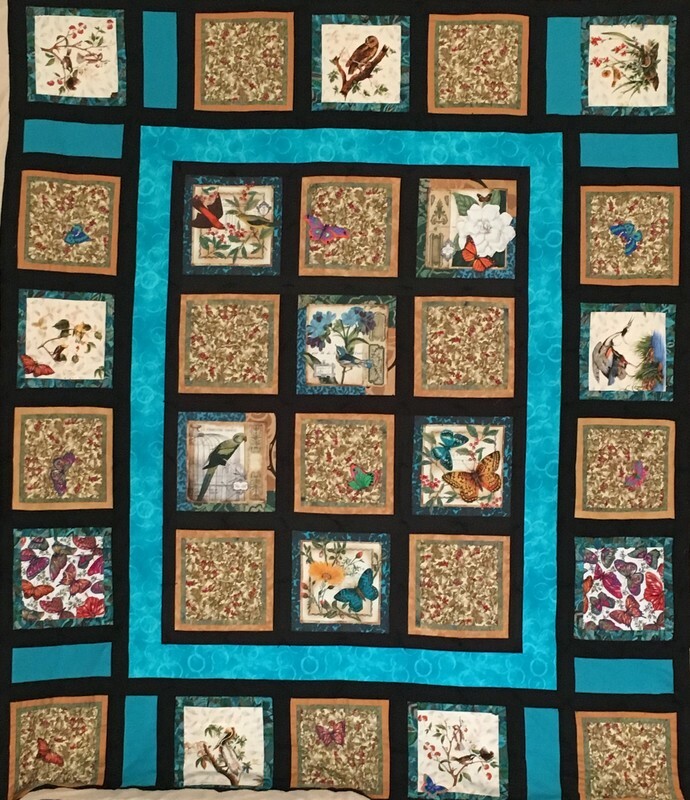 This Beautiful Handmade Quilt Can Be Yours! The quilt that will be raffled this year as part of our annual Gala fundraising festivities was lovingly made by Babs Epperson and friends from Hosanna Quilters. The quilt is a hand-pieced and hand-tied, with Butterfly and Bird motif and beige backing, and fits queen-king. The quilt winner will be chosen at the Women's Center's 5th Annual Gala Event, An Evening of Masquerade April 1 at the Castine Center. The winner need not be present. The Hosanna Quilters completed this beautiful item as a labor of love – all volunteer – and all donated! The quilt is now on display in the Great Room at the Center Women's Center. Quilt Raffle Tickets are $5 each . . . 5 for $20 . . . 20 for $60! ​Many thanks to the ladies for their time, effort, and energy that went into the making of this quilt!